Did you know that as well as amazing wildlife watching opportunities our reserves also offer a wealth of great events, and even partnership holidays? You don’t have to go abroad to enjoy a spectacular wildlife holiday, with the UK offering everything from basking sharks off the Scottish coast to adders nestled in the heart of the New Forest. And it’s those one-in-a-lifetime moments that will stay with you. Every year our reserves run a range of partner trips to make the most of our land and the surrounding areas. To search for all six native species of reptile, join a seasonal boat tour of Poole Harbour, run by Birds of Poole Harbour, or take a UK Nature Break, which sees 10% of every accommodation booking donated to the RSPB by Hoseasons and cottages.com. 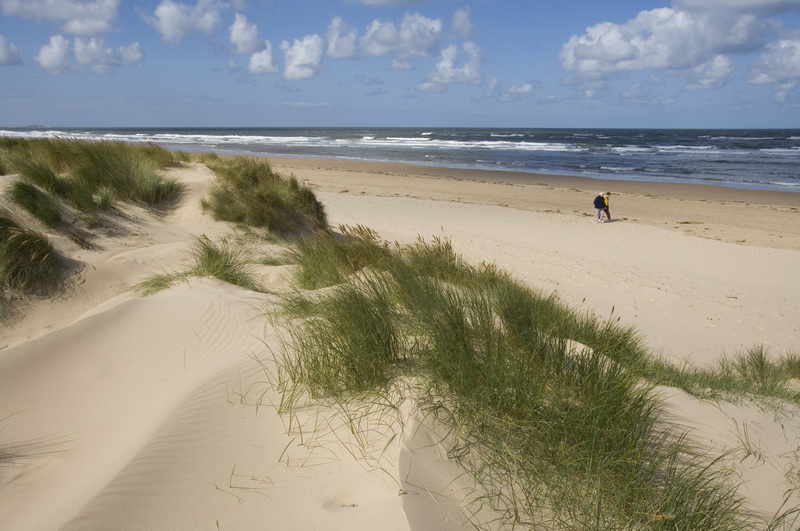 With cottages, lodges and even boating holidays from Cornwall to the Outer Hebrides, UK Nature Breaks has loads to choose from. Keep an eye out in upcoming issues of Nature’s Home magazine for more tours and mini-breaks throughout the year. Join your local RSPB group to take part in day trips to RSPB reserves and other great nature spots. Local groups regularly run organised coach trips to various locations to see ongoing projects, key species and join walks. Find a group near you here. Summer is a great time to get out and about, and why not see if you can win a Wild Challenge award this summer, too? Take on a whole host of great activities from ponding dipping and rockpooling to the Big Wild Sleepout. Find out more about the Wild Challenge here or click here to find a reserve Wild Challenge event near you. A great way to see everything a reserve has to offer is to volunteer. You can take part in week long residentials or longer at a number of reserves, getting hands-on with our projects and seeing wildlife up close. Find out about volunteering opportunities here. If you’ve already got a great UK wildlife holiday in mind this summer, join us for a day out. There are loads of things on offer at RSPB reserves across the UK, from bittern breakfasts to sky dancing sessions, expert talks to hands-on workshops, get inspired here.